What do you do when you have an abundance of herbs? Make pesto! This creamy, herb-based mixture is an incredibly flavorful, easy, and nutritious way to use fresh summer herbs. 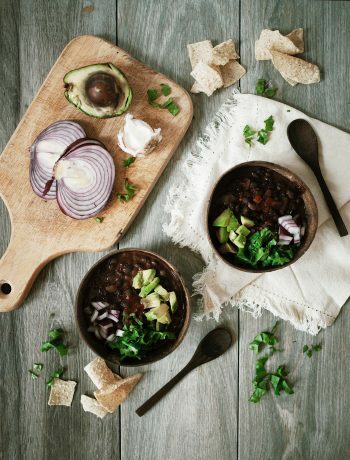 Make a big batch at the beginning of the week and you’re set for an abundance of delicious meals throughout your week. This pesto is gluten free, vegan, and so fast to whip up! Serve it over your favorite noodles, scrambled eggs, toast, or even dip some crunchy veggies in it—you can’t loose. Let’s make basil & parsley vegan pesto! 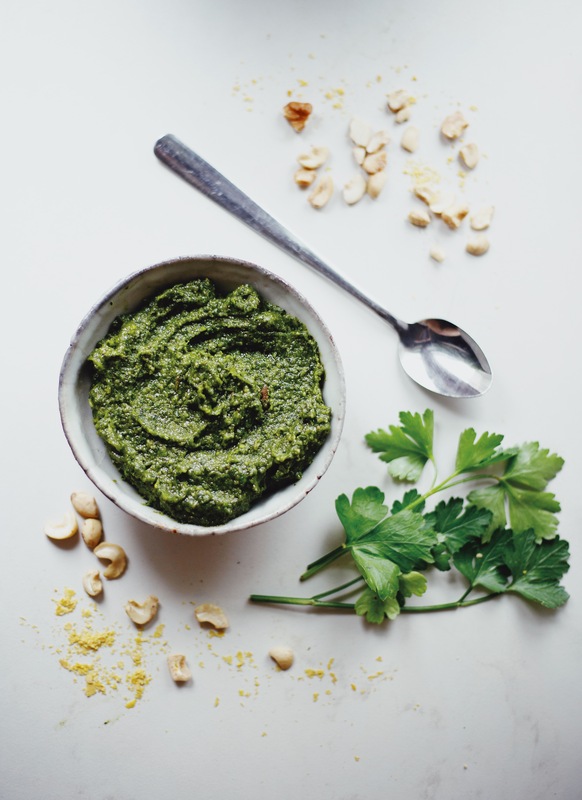 Since I was a kid, I’ve loved pesto—the vibrant color, the earthy flavor, and the simplicity of it. As an adult, pesto pasta has become a reliable go-to for parties & weeknight meals. Everyone loves pesto and it is easy to make! 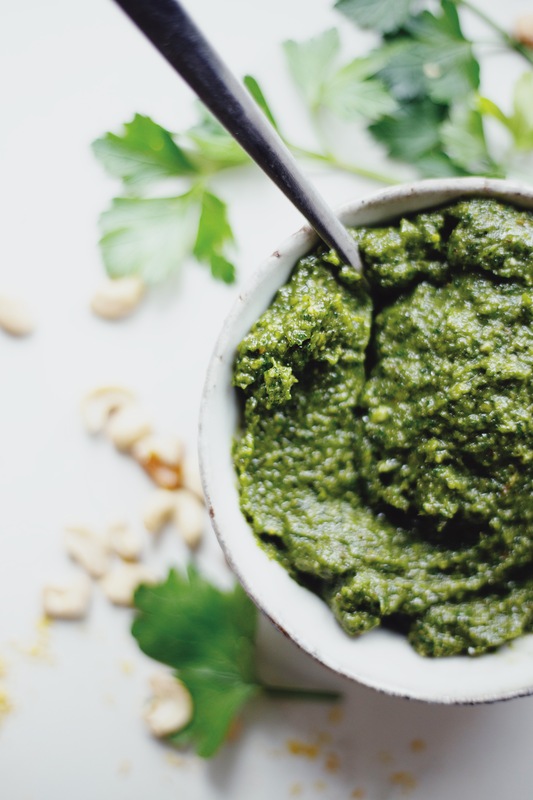 If you have a garden/ access to a farmer’s market and a Whole Foods Market, you’ve got everything you need to make this simple pesto. 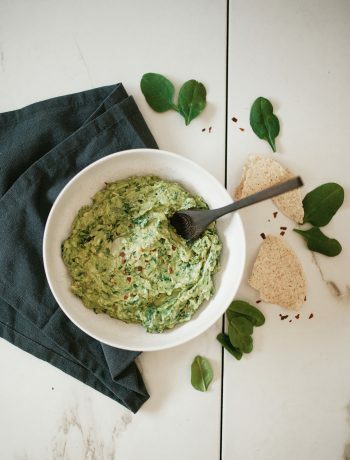 Grab some fresh basil & parsley (for the flavor), bulk raw cashews (for the creamy-ness), garlic cloves (for the garlicky-ness), lemon juice (for tangy-ness), and nutritional yeast (for the slight cheesy-ness—and to keep it vegan!). If you like this recipe you might also like my Avocado Pesto Pasta Salad, Pretty Pink Slaw, Summer Panzanella, or Easy Garlic & Onion Hummus. Also, if you try this recipe, be sure to comment, leave a rating, and don’t forget to tag a photo #thelocalsprout on Instagram! I can’t wait to hear what you think! 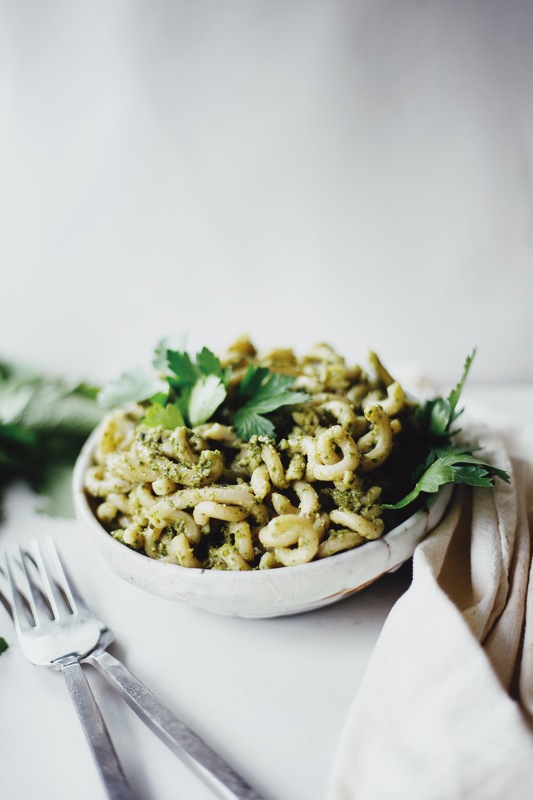 My basil & parsley pesto is gluten free, vegan, and so fast to whip up! Serve it over your favorite noodles, scrambled eggs, toast, or even dip some crunchy veggies in it—you can’t loose. In a food processor or blender* combine all ingredients. Blend on high until ingredients are well combined and only slightly grainy, scraping sides as needed. Taste and adjust seasonings if needed. Blend once more. Serve pesto over cooked pasta, veggie noodles, on toast, or with fresh veggies. Keep leftovers refrigerated in airtight container. Pesto will last for up to 7 days though best served fresh. 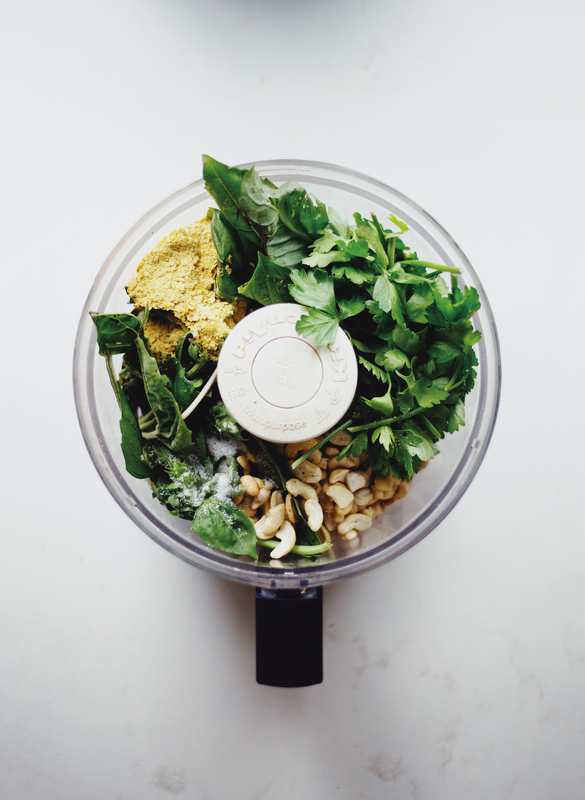 *I’ve found that a food processor works better to create the perfect textured pesto. 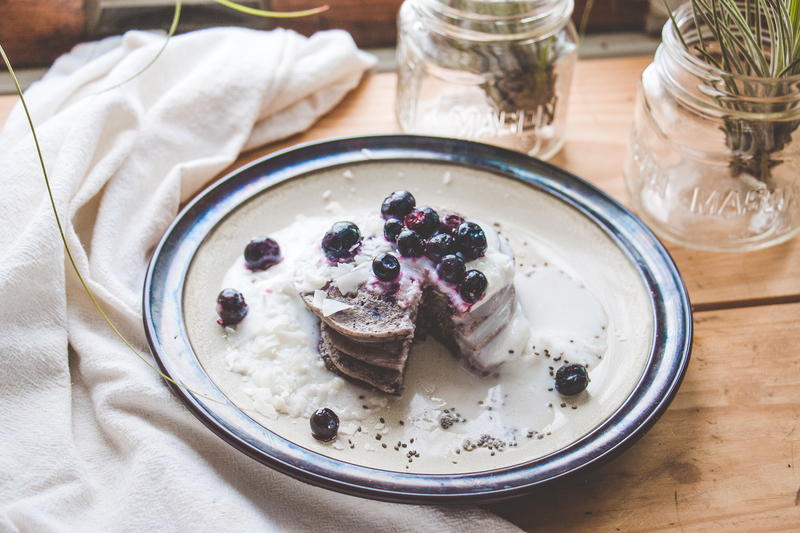 If using a blender, be sure to scrape sides of blender frequently as you blend—as the ingredients tend to cake to the bottom.